Why choose our hernia specialist? solely to hernia repair. Call now for relief today! Why choose our hernia surgeon? Devoted specifically to hernia surgery and repair for over 25 years with 12,000 surgeries of experience. Immediate relief of your pain. Treatment for all hernia surgeries and repair. Hernia Doctors have the Lowest Recurrence Rate. Fast hernia surgery recovery and return to everyday activity. Permit local anesthesia with sedation (NOT the riskier General Anesthesia). Expert in all advanced surgical techniques. Two hernia surgeons in los angeles. Why do you need hernia surgery? For your hernia surgery, visit the Hernia Center of Southern California, home to a team of premier hernia doctors. A hernia is a small sac containing tissue, which protrudes through an opening in the muscles of the abdominal wall. This opening can be a result of a congenital flaw or an acquired flaw due to sudden or even repeated stress or strain on the abdominal muscles. The most common type of hernia is an inguinal hernia, also known as a “groin hernia.” A hernia develops when the outer layers of the abdominal wall weaken, bulge or actually rip causing internal organs and tissue to push through the tear creating the typical “bulge” found with most hernia patients. A hernia doctor can provide expert insight and skill towards your hernia surgery. 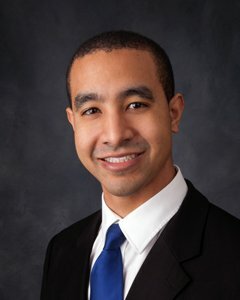 We specialize in the most advanced techniques of hernia surgery, repair and treatment for many types of abdominal hernias. As premier hernia doctors, we have been devoted to hernia surgery, diagnosis, and repair for more than 25 years. We have developed expert hernia surgical techniques for repairing hernias. 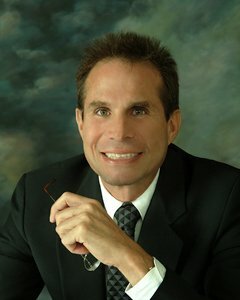 While there are many different types of hernia surgery and repair methods, Dr. David Albin developed the Albin Tension Free Mesh technique exclusively for the Hernia Center of Southern California. 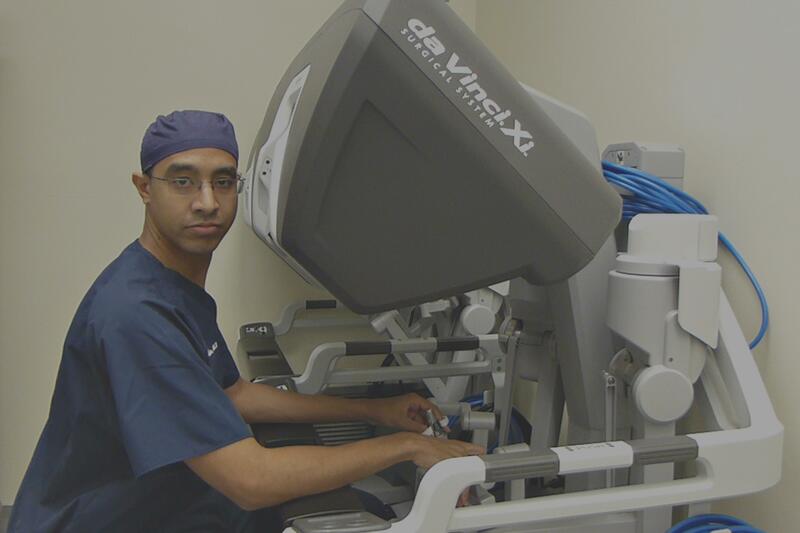 Dr. Michael Albin has expert skills in advanced laparoscopic hernia surgery and robotic hernia surgery. 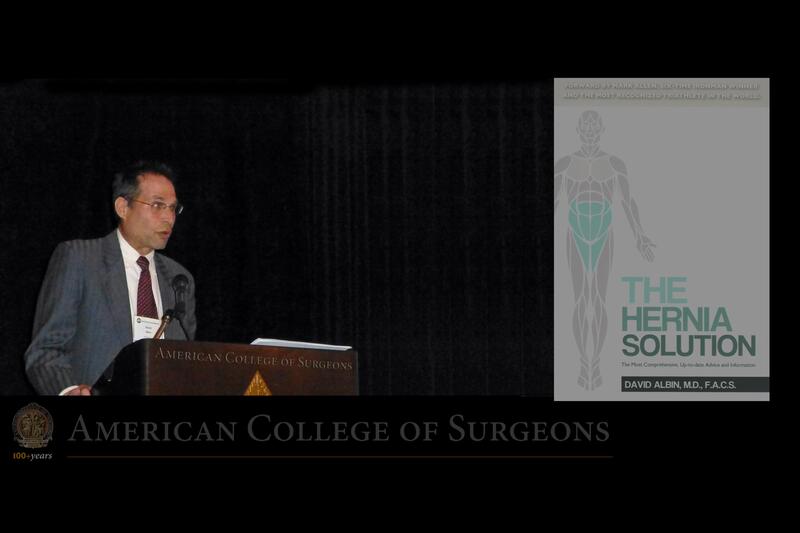 The Hernia Solution provides the latest information and a rundown of the most cutting-edge surgical techniques available for hernia surgery and repair. This book is a compilation of important facts, findings, and questions that have arisen during my interviewing, diagnosing, and treatment of patients.Read The Hernia Solution to learn more about hernia doctors and hernia surgery. 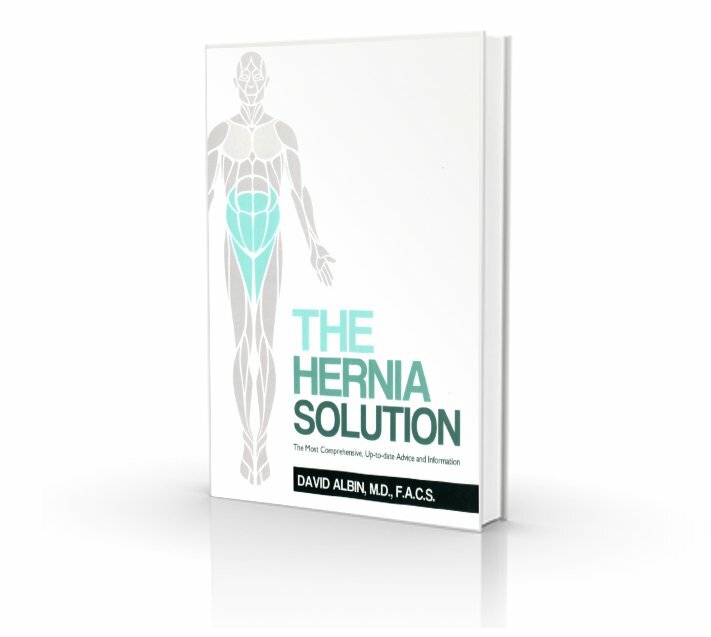 This book will help guide you on how to best treat your particular hernia.